Our oak leaf earrings are polished lead free pewter with Sterling silver wire. Handmade in the UK by Glover and Smith. 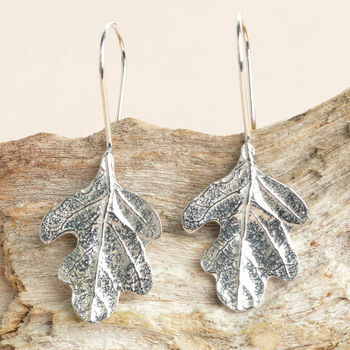 Delicate, beautifully simple and easy to wear. They make a great gift for that special someone. The perfect tenth anniversary gift (pewter is 92% tin). The oak tree symbolises hospitality, stability, strength, honour, eternity, endurance and liberty. 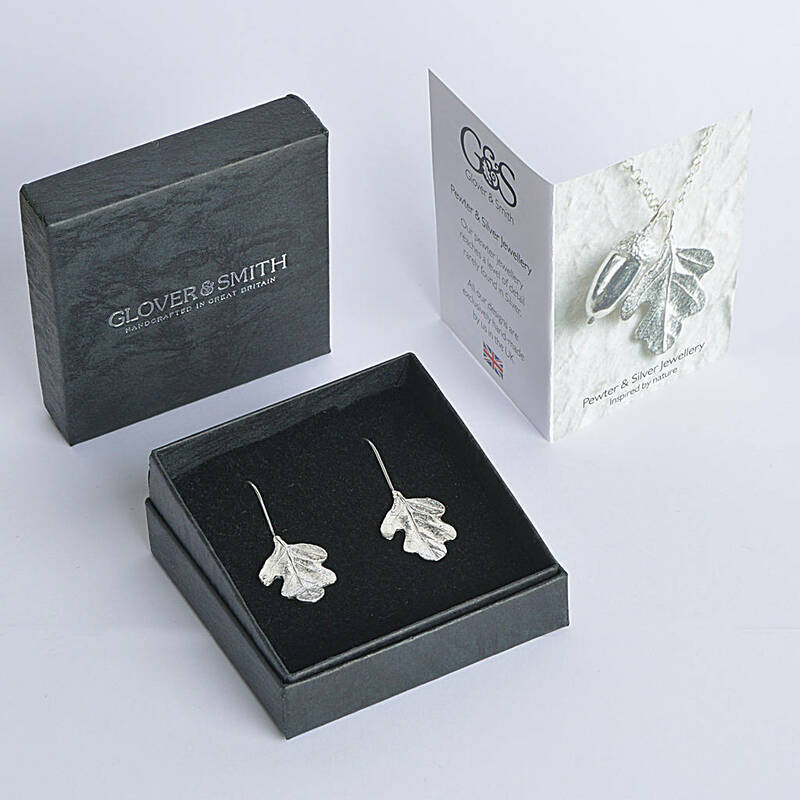 Lead free pewter leaves with Sterling silver wire. 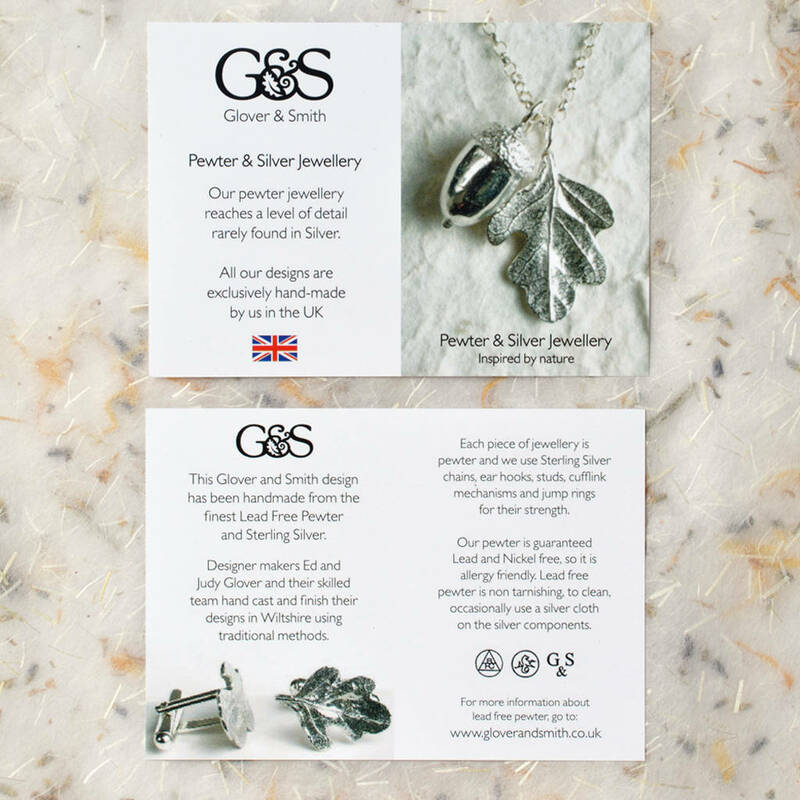 All Glover and Smith designs are made from solid polished lead free pewter which is non-tarnishing (that was the lead) and completely nickel free. 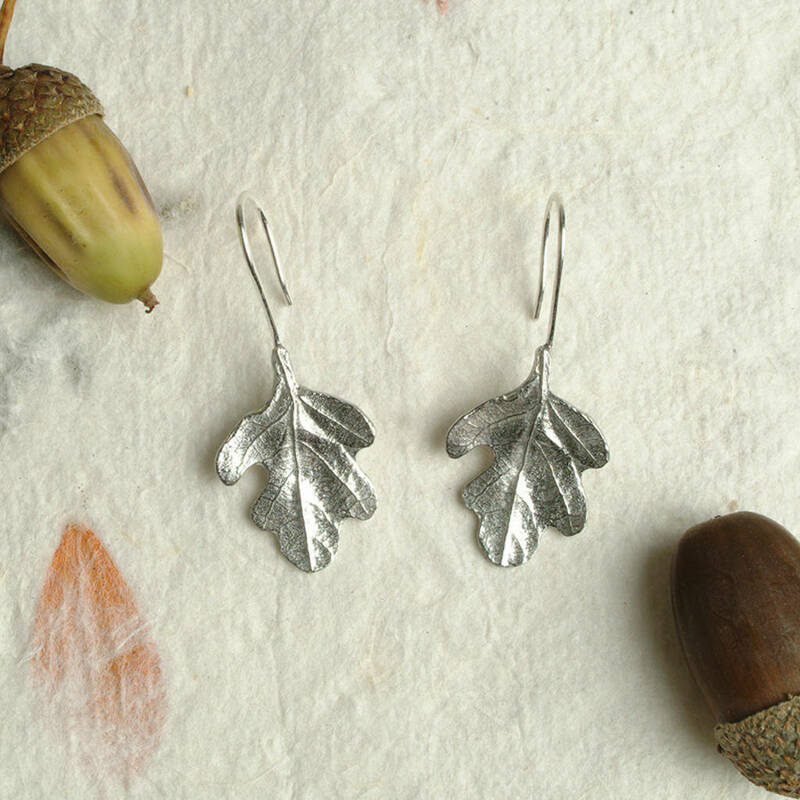 Because we use solid metal the surface of you oak leaf earrings will never flake or rust, just wash with warm soapy water. 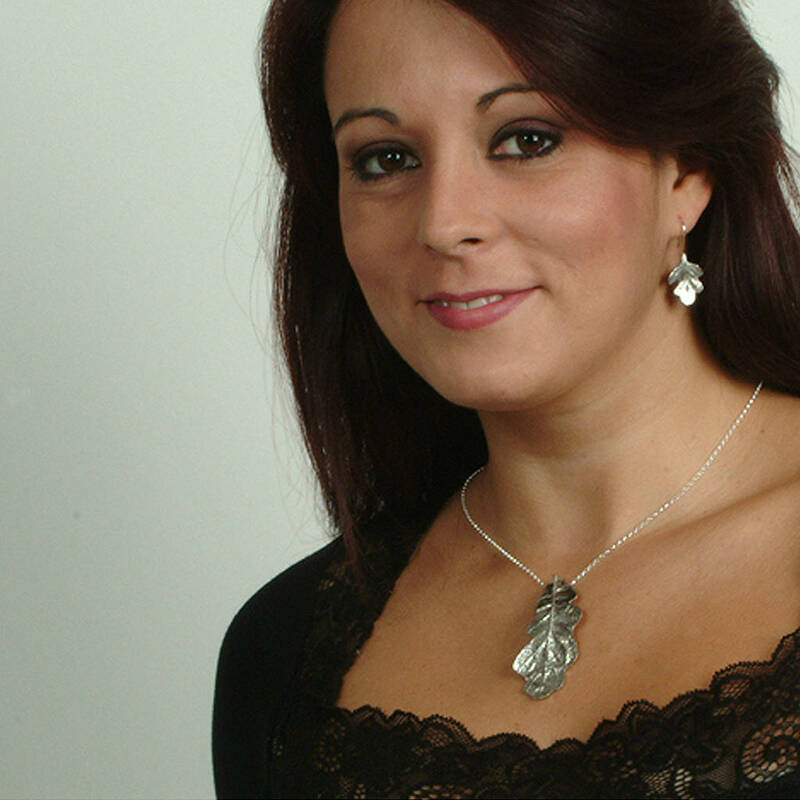 All our designs are made exclusively by us in Wiltshire.